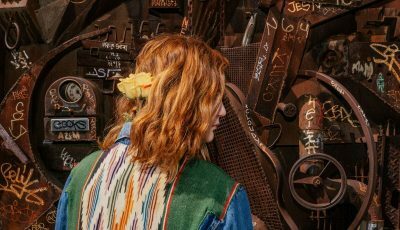 The Michigan native, Chelsea Gill, recently released her debut self-titled EP as a country singer-songwriter. 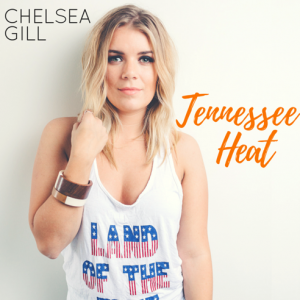 After working in concert lighting design and shining the spotlight on acts such as Sara Evans and Lee Ann Womack, up-and-coming country artist Chelsea Gill is stepping into the spotlight of her own with her new “Tennessee Heat” music video. Wanting to start her career by giving back to others, Gill has decided to donate $1 for every 10 views (up to 10,000) to the Children of Fallen Soldiers Relief Fund. The organization provides college grants and financial assistance to surviving children and spouses of U.S. military service members who have lost their lives as a result of their service in the Iraq or Afghanistan wars. The video, directed by Joshua Lockhart, captures the idea of an uncomplicated summer romance – one that you look back on and smile. Thank you for having me! 2016 has been a really great year so far and I can’t believe how it has flown by. My debut EP released in April, my first music video released in May, and I had a blast being a part of several CMA Fest shows and events. It’s been a great year and it’s only getting better as we get further into the summer. You know, 2015 will always have a special place in my heart because of the time spent writing and recording the music for my EP. Honestly, the studio is such a creative space and I have a blast and feel totally in my element there. I wish I could be recording new music all the time! Making the songs that I poured my heart into actually come to life was definitely my 2015 highlight. Growing up, did you all always want to be an artist? Can you recall your earliest musical memory? I always wanted to be a singer or a veterinarian as my backup plan, but obviously music won my full attention as I grew older. I sang along with Disney movies as my introduction to music, actually the first movie I saw in theaters was “Beauty and the Beast”. My father also had an extensive record collection and really loved 80s pop music. I grew up watching music videos on VHS and trying to learn all the hair flips and dance moves while singing along. At the time I was just playing, but deep down I knew it wasn’t really an option, I was going to be a singer someday. Let’s talk about your newly released single, “Tennessee Heat.” Where did the inspiration for it come from? While writing “Tennessee Heat” I wanted to capture a story of falling in love when you are young and life is uncomplicated. Growing up, I remember how magical moments spent at bon fires, on the lake, camping, or just wandering around my small town with friends were. I wanted to capture some of the nostalgia of those moments and tie it in with experiencing love for the first time. I jotted down some lyrics and actually finished writing “Tennessee Heat” with an Irish songwriter named Brian Houston. I was studying abroad in Ireland and Brian’s family took me in for a couple weeks. I showed him the lyrics I had started and he pointed out the line “We’re stoking a fire in the Tennessee heat…” and said, “That… that is a hookline!”. From there we built this fun and nostalgic story. “Tennessee Heat” always makes me smile when I sing it. 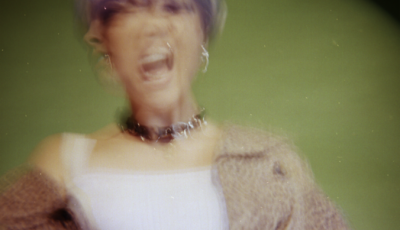 What was it like putting together your debut self-titled EP? How did you go about writing these songs? How long had you been working on this collection? Before starting work on this EP, I had actually taken a break from music and performing. I would write occasionally, but for the most part I put music on a back burner out of fear of failure. But late 2014, I realized how much I still had left to say and to sing. I made it my mission to record an album, even if I never made a dime off of it, I knew it was something I had to do. During late 2014 and 2015, it was like songs were just pouring out of me. In the studio we narrowed down the catalog to record 10 songs, and chose to release 6 on this debut EP to start. I still have unreleased songs I plan to release over the next 6 months to a year. Be on the lookout. Can you talk about your relationship with Children of Fallen Soldiers Relief Fund? As an artist, my aim isn’t to get rich and famous, but more to connect with people’s hearts and to be able to use music to make a difference. Releasing the “Tennessee Heat” music video seemed like a perfect opportunity to start my career focused on giving back. Since we released around Memorial day I wanted to find an organization focused on families of fallen soldiers, those who gave their lives to protect our freedom. No matter your politics, the family members of military sacrifice so much for our country. As I searched through different military non-profits, I stumbled upon Children of Fallen Soldiers Relief Fund and fell in love with their mission. I love that CFSRF is an organization that gives directly to families who no longer have the financial support they need for their future after a parent or spouse never came home. I’m curious to know how your experience with concert lighting design and shining the spotlights on acts like Sara Evans and Lee Ann Womack have influenced you as an artist today? I have actually learned an immense amount from my experience touring with artists. Mainly learning how to put on a show and engage with the audience. It’s one thing to be a good singer or a good songwriter. It’s another thing completely to be a good performer night after night. Spending so much time watching artists connect with the crowd helped me get over stage fright and realize we are all just people wanting to enjoy good music and have a good time together. The crowd is on your team, they want you to succeed! 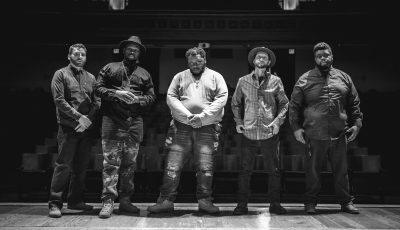 How do you think being from Michigan has influenced you as an artist? I grew up surrounded by incredibly down-to-earth, hard-working people. If I wanted something, I knew it wouldn’t be handed to me, I knew I had to work for it. That is one lesson I am so thankful was instilled into me as a young kid. I also spent much of my childhood outside exploring. I lived on a dirt road with acres filled with apple orchards, a full vegetable garden, raspberry patch, a rope swing off of a massive oak tree, and we made our own maple syrup every year. I still love that property and value how important it is to get away from the noise and soak up the beauty all around us. I am a big Shania Twain fan and wish I could have seen her perform last year on her final tour. 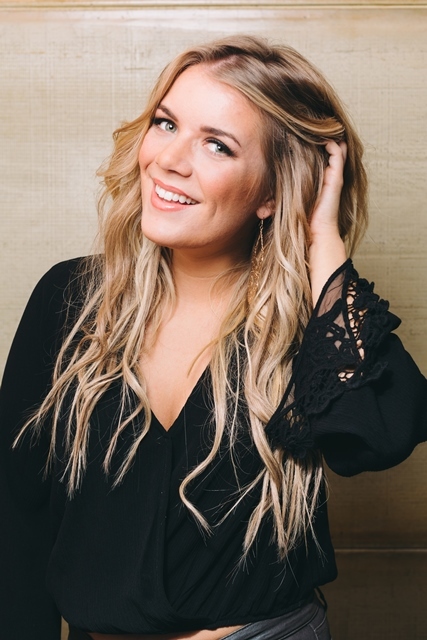 I’m also really enjoying Cam, Kelsea Ballerini, and Maren Morris. I’m ecstatic that so many new country women are coming out of the woodwork and rocking it these days! Also, I love singer-songwriters of the 60s and 70s. Carole King, Simon and Garfunkel, Paul McCartney and John Lennon, James Taylor, and so many more are writers I admire a huge amount. When it comes to working with artists in the future, I would be blessed to share the stage with so many artists. I would be pretty stoked to work with Thomas Rhett, Chris Stapleton, Sam Hunt, or any of the women I mentioned earlier. At the end of the day all I can hope is to work with artists who have a good heart and treat people with kindness and respect no matter who they are. Is there anything else that you would like to share with our readers about yourself and your music?Mostly I want my fans to know they aren’t alone. Even though every story is unique there are common threads that connect humans to one another. I hope that the stories and emotions in my music will connect with someone’s heart and they can feel understood and know someone else is on their team in the good times and the bad. That’s what music has always been for me, a place I feel connected and a place that helps me sort through my own emotions and circumstances. Anything to else to share with our readers? Just that I am so thankful for their time and support! I am so blessed to be able to live my dream and I know that is all because of fans and people who believe in my music. Much love from me to all of you! An Interview With DJ/Producer/Songwriter Extraordinaire ALEX NAHAI!